"What qualities do you seek in your students?" During my decade as SciCom director, I heard many variations of that question. Several dozen science students and researchers contact us each year, wondering if our program—or science writing in general—is a good fit for them. The best ones are so restlessly curious about science, and so eager to share what they learn with others, that discovering this career option feels almost miraculous. They can't wait to get out there and do it. Our students have a flair for communicating. They write with inventiveness, clarity, and grace. They're eager to explore other platforms as well: photography, video, audio, social media. They care about the public understanding of science, and they have the entrepreneurial drive to reach many audiences in their careers. We recruit people who have excelled in science, but they've also done other interesting things. They've edited a campus publication, volunteered in community education, helped to run a lab, served in the Peace Corps, arranged their own internships, studied abroad, traveled and blogged. 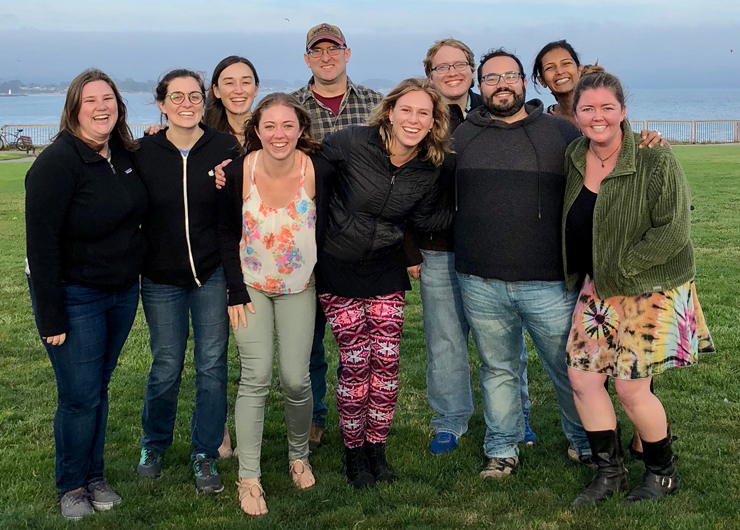 When we bring ten of them together to immerse them in science journalism for nine months, the catalysis is something to see. Our team finds it so rewarding to mentor these motivated young writers. We use our alumni network and our connections in journalism to spark their careers, and then we delight in their accomplishments. The links on these pages document where they came from, what they've done, and what SciCom meant to them.